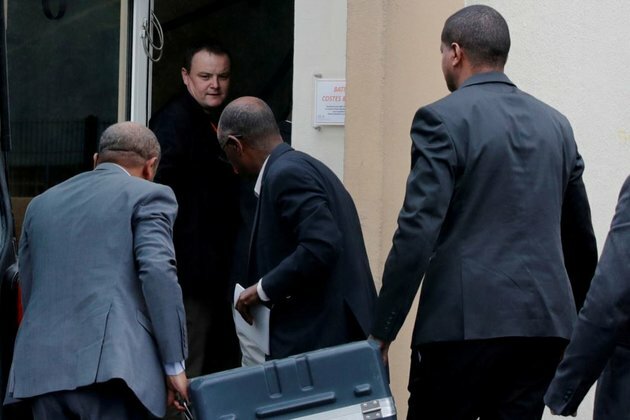 ADDIS ABABA/PARIS - The investigation into the final minutes of Ethiopian Airlines Flight 302 turned on Tuesday to the secrets in the cockpit voice recorder as Boeing and a shaken global aviation industry hung on the outcome. Experts believe a new automated system in Boeing's flagship MAX fleet intended to stop stalling by dipping the nose may have played a role in both crashes, with pilots unable to override it as their jets plunged downwards. The prestige of Ethiopian Airlines, one of Africa's most successful companies, and Boeing, the world's biggest planemaker and a massive U.S. exporter, is at stake. 5,000 more worth well over $500 billion are on hold. The U.S. Justice Department was looking at the Federal Aviation Administration's (FAA) oversight of Boeing, one of the people said. And a federal grand jury last week issued at least one subpoena to an entity involved in the plane's development. The rest of the world is watching anxiously. The European Union's aviation agency EASA promised its own deep look at Boeing's software updates and failure modes. 'We will not allow the aircraft to fly if we have not found acceptable answers to all our questions,' its executive director Patrick Ky told an EU parliament committee hearing. Argus Research cut Boeing stock to 'hold' from 'buy', giving the planemaker at least its fourth downgrade since the crash, Refinitiv data showed. Its shares, however, were enjoying a rare respite on Tuesday, up 1.6 pct to $378 and cutting losses since the crash to under 11 pct. In the hot seat over its certification of the MAX without demanding additional training and its closeness to Boeing, the FAA has said it is 'absolutely' confident in its vetting. 'I'm just so terribly sad. I had to leave here without the body of my dead brother,' said Abdulmajid Shariff, a Yemeni relative who headed home disappointed on Tuesday.